Baker, Crafter, Reader, Thunderhead! Fáilte! 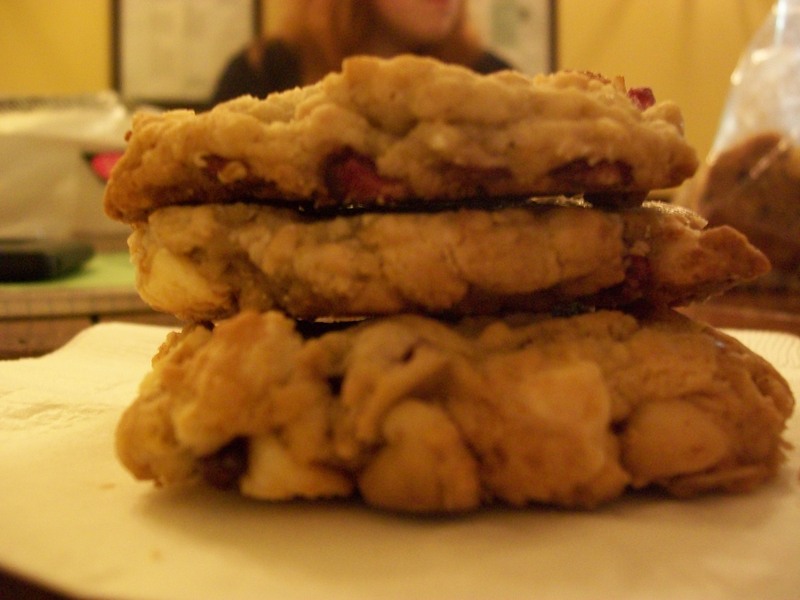 This post will be devoted to cookies! I’ve made three completely different recipes, and I don’t think I could possibly choose one that I love the most. They were all so different and delectable. 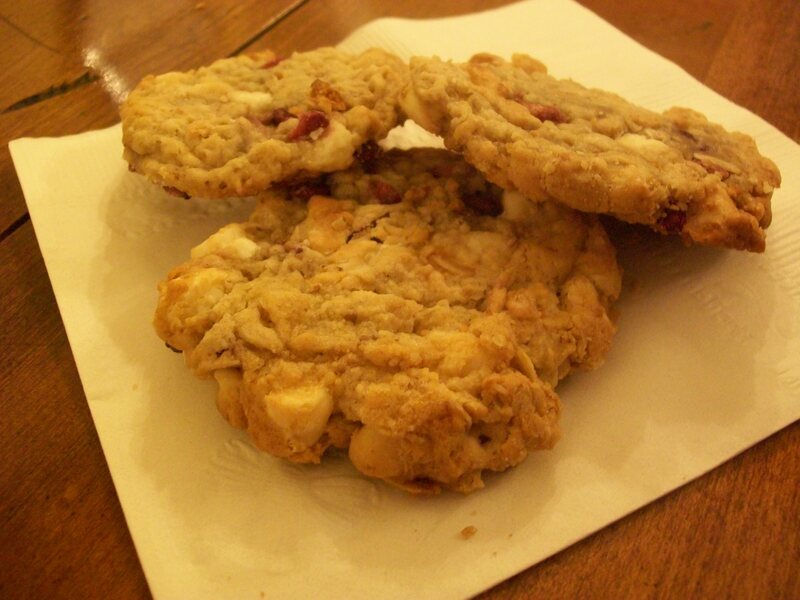 I’ll start with the Pomegranate White Chocolate Chip Cookies. These were one of my baking bonanzas from February and I just had to bake them again, even though once again I failed to document the process. Oh well! I also had to make a substitution because I wanted them so badly and couldn’t get out to buy eggs. As a result I used half a banana in place of the egg. Thankfully it worked out wonderfully. The banana added a bit of something extra to the taste and I must say that I happen to like it better than the original recipe. I just might keep this substitution in mind when and if I make them for a third time. They went over really well with my friends when I brought them to class one day. I kept the bag out during class, and one friend just kept reaching his hand into the bag and munching absent-mindedly throughout the entire hour. I think he liked them just a bit, haha. For my next cookies I failed to get even one picture of them. 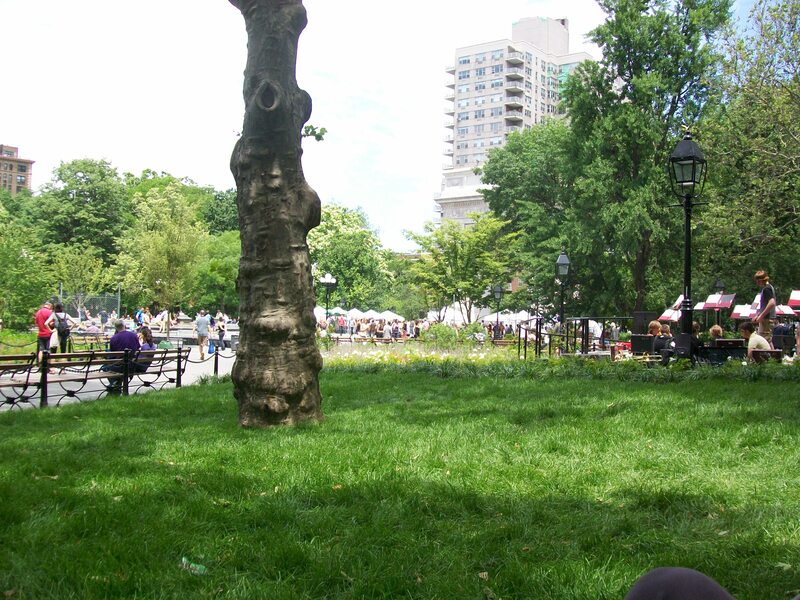 I took the Glazed Lemon Cookies from Two Peas and Their Pod to a picnic in Washington Square Park the other day, and by the time I got there they were all SQUASHED and in chunks. Thankfully it didn’t affect the taste, but it would have been nice to get a picture of them in the park. 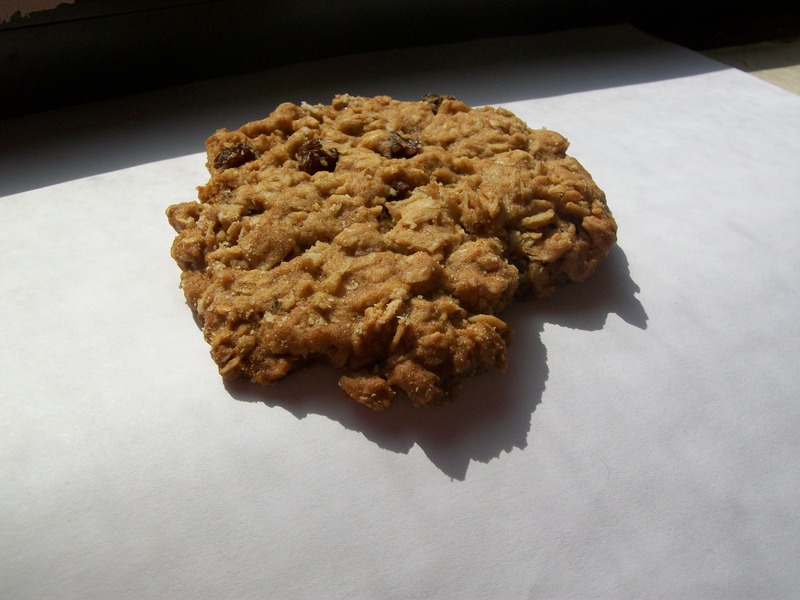 They were light and lemon-y and a perfect summer cookie. I omitted the glaze this time, and I might keep it that way so that they don’t become overwhelmingly sweet. 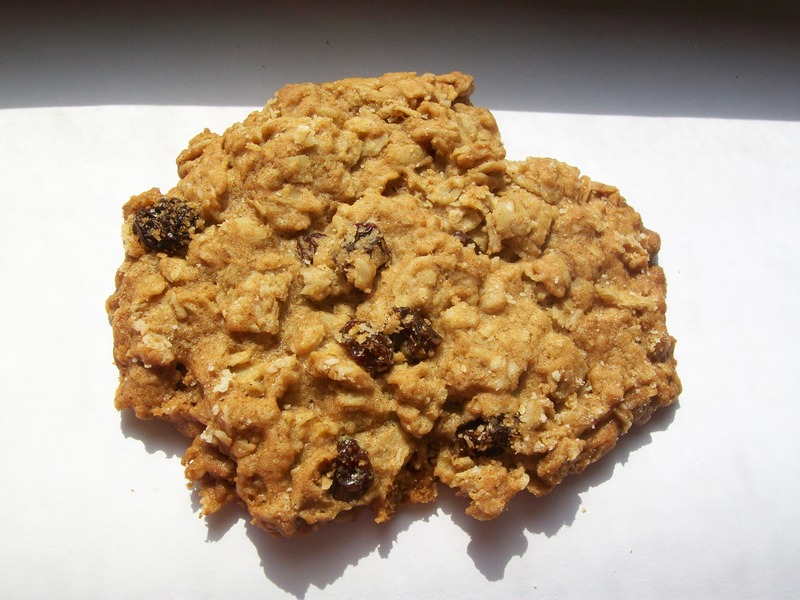 For my final cookie I made Oatmeal Raisin Cookie recipe from The Joy of Baking. I managed to transport these to the park without too much damage, but I didn’t take pictures of them there. Instead they became the first baked good to be photographed on my new windowsill. I’m not really feeling the direct sunlight for my photos. I much prefer my old sill and the indirect lighting because it was much less harsh and didn’t create such bold shadows on my food. 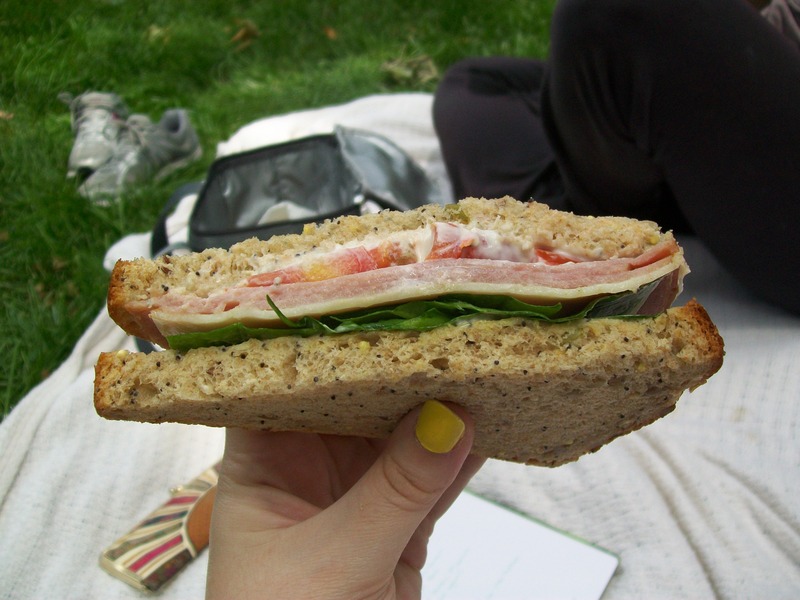 I thought I might also include the sandwiches we ate on our picnic in the park. My friend made us ham and cheese with mayo, spinach, and Texas tomato on bird seed bread from Whole Foods. Great sandwiches, Anne! You can be in charge of sandwiches any time.